I recently read a post about cross-platform publishing that absolutely blew my mind and changed my paradigm about how I am thinking about content and publishing moving forward. It’s called Adapting Ourselves to Adaptive Content, written by Karen McGrane who has led content strategy and information architecture engagements for sites like The Atlantic and Fast Company. The time is now, I believe, for thinking about content as a separate entity unto itself, not beholden to one platform but rather extendable across platforms. Increasingly the media we want to consume requires Internet but we don’t always have it. This especially applies to video and presentations. Pocket, formerly ReadItLater, cannot show videos offline, and apparently it does not show presentations either. If this is the gist of your content within your post, your content is all of a sudden inaccessible to people reading content offline. You’ll also notice that I could not even see that a presentation was embedded. I was indeed able to read the text, which was amazing, but most writing is not this incredible and supporting materials are there to help make the post what it is. When a writer/artist spends time carefully crafting their content, it is a shame that it may not be presented exactly how they would like. Videos are made to be consumed on the desktop. Video on mobile feels like it has been retrofitted to the device, and it never works quite well. Either the video won’t render well because of slow 3G, or it doesn’t work for other people around because the person watching the video is not using headphones (I live in New York City and ride the subway to and from work; this happens with surprising regularity). What is the alternative? Simply, transcripts. While transcripts are not ideal from anyone’s perspective, including one at least allows content consumers to read what is happening in the video and know if it is worth their time to go find the video once they have an Internet connection again. On that note, I’d also love to be able to add webpages from mobile to a folder or service that I can reference anew when I get back to my desktop. A point that Karen makes in her original diatribe is that different headlines work on different platforms, so we may even need to start creating new headlines depending on where the content is displayed. What I would love is the ability to push, from the CMS, different titles to different platforms like social, apps, and RSS. This implementation will be tricky, and will involve more work for the writers, but as Karen says we’re getting back to the essence of journalism where you write multiple headlines depending on the publication and audience. This is the new direction of web publishing, I think. While print tries to move to digital, digital cannot throw the baby out with the bathwater. Best practices are best practices for a reason! Each title will be saved in the database in a separate field and pulled as needed. The RSS/App title will be pulled by apps like Pulse or Flipboard. We may need a new standard for app publishers for this to work well, though. So Twitter doesn’t do what we want, and Facebook doesn’t do what we want without manual input. I hate that every time I publish a post, I then have to go to Buffer or Tweetdeck (since I can’t pick times for posts to publish from within Twitter.com for some dumb reason) to then manually write out the tweets I want. What if, when you published a post, you could also specify the tweets (and the number of them), the time, and also specify how a Facebook update will look? Fred Wilson recently wrote some great posts about mobile, and rethinking mobile-first launch or development. The first was called ReThinking Mobile First, and the second was called A Blog Post Written On The Mobile Web. My friend Aaron Friedman also wrote a very entertaining post on his tablet. But we’re not talking here about publishing from a tablet or mobile device. We’re talking about publishing content that is then pushed to, and optimized for, mobile devices as well as desktop. We are currently encountering the problems with cross-platforms. The mobile-first idea neglects the desktop users, of whom there are still many. 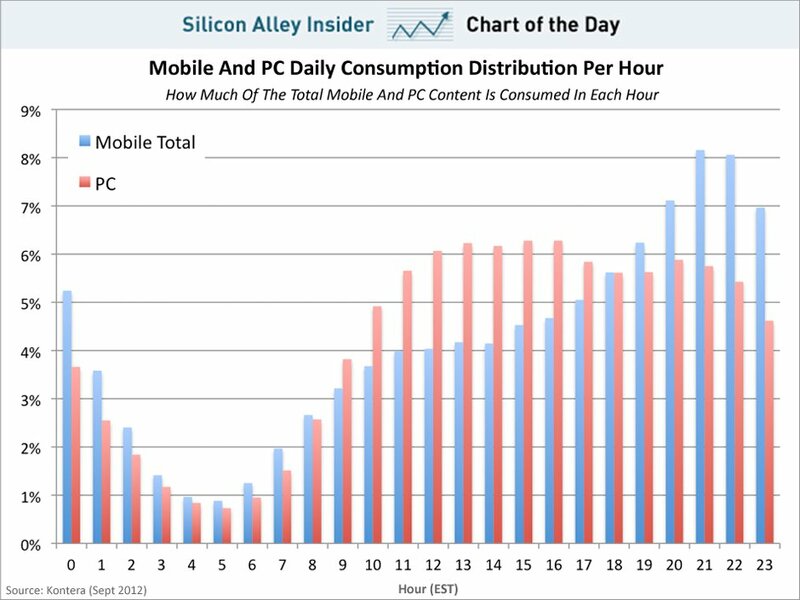 But equally, desktop-centric ignores mobile. We cannot forget either. Ability to save a piece of content to be read on a different platform to get the full experience. I picture something like how Netflix works across Apple devices. I can flick a movie from my iPhone to my iPad Mini to an Apple TV easily. Content should be so easy to use! It’s marketing in a loose, wide sense. We’re talking here about content accessibility, which is content marketing. I’ve been known as an SEO consultant (and I do SEO), but I’m increasingly trying to rebrand myself as a holistic online marketer that can do search, but also larger areas of marketing too. And in SEO, we talk about getting your content onto other platforms (aka websites) to build links back to your own. What I’m talking about here is even better though. We’re getting the same content (so we have to produce less of it) in front of new people (a new audience) in a way that is user-friendly and increases our serendipity with our users. And because we’re doing a little bit more work on the front end, we ultimately get to do less and can either enjoy more free time or be able to do more in the same amount of time. I get it, but I really don’t want different titles for different platforms. That’s like naming songs differently for terrestrial radio, MTV, Youtube, or an MP3 player. In my mind the post content shouldn’t be separate from the canonical title, marketing aside. The presentation of content is the Wild West. We’re finally mostly past bad smartphone presentation, but moving right into different peripherals stressing out the content’s original presentation intention. As a publisher it’s disappointing when your content is pushed through a device where your ads (source of income) is stripped, basically giving your content to another publisher (like Instapaper). It’s frustrating, interesting, and a problem content producers should be paying attention to for sure. Bill – Thanks for the thoughts. I think what I’m saying about titles/descriptions is just taking the limitations we already have one step further and working within them. We know, as SEOs, that writing page titles longer than 72 characters (I think that’s the current limit) is sub-optimal. Well, I’d argue the same for on mobile and other platforms where the content gets squeezed even more than within the boundaries of a SERP. I wouldn’t say that we’re mostly past bad smartphone presentation. We’re just getting into the meat of it and everyone is trying to solve it. Those doing responsive right are winning right now, which should be a sign to all to get onboard. Re: content being pushed elsewhere where ads/source of income are stripped, I wonder if this is on purpose. Ads are pretty old-school, and while they can work for good income, relying on them as a publisher is dangerous IMO. These old-school publishers need to be finding other ways to monetize their content. I think that if they actually took into account good journalism (and got away from the pageview journalism that the ad-supported revenue model has wrought on the ecosystem) and provided the value again, they could support tablet or mobile apps off of subscriptions. Past old smartphone presentation like the Palm or the old blackberry’s, I meant. Looking at the web with those was brutal. I’m just curious about your photography website’s jump in traffic after going responsive. Are you implying that the design switch caused the increase in traffic? Without knowing what the traffic levels/sources are I can’t be sure of anything, but is it possible that the jump in traffic after you made the switch didn’t just come from you Tweeting a bit more about that blog as you were talking about going responsive? I showed the overall traffic bump, and on the 1st yes, it’s from me tweeting about it (traffic source show this). But in the subsequent days, the bump is due to an increase in organic traffic (and not for my name or a permutation of my name with “photography” added on). Thanks for confirming John. That’s very interesting. I read the transcript of Karen McCrane’s speech when you tweeted about it a week ago and it really resonated in general, but also specifically as one of my clients has a vaguely similar approach to NPR in terms of content, but what we don’t have is an API like what they have. I actually forwarded that article to a senior marketing executive as the API could be quite a project, but a real differentiator. The client currently create dozens of meta fields in their database for each piece of content to cover a variety of character limits, purposes and platforms. We also have just introduced processes that have our design teams create multiple version of all relevant images to meet current needs (blog, apps, mobile, print, etc) but also to meet the needs of potential new platforms. What we are finding now is that some of these meta fields can be used as new platform and purposes arise, but I am finding that sometimes we just need the same type of copy with the same character limits and purpose, written up in multiple ways. So length and presentation isn’t the only issue. As you have three different tweet fields in one of your examples, I am starting to believe that we need to have writers create three different versions all our current fields, so we aren’t repetitive in the way we present content on different platforms. As an example we would post the PDF on the site, we have a landing page for the PDF and now we have the PDF on the SlideShare. By having multiple copy and keyword options already created, it is easier to avoid total repetition when posting content on new platforms. I know my comment isn’t specific to all your different points, but I just wanted to offer one angle on it, and to thank you for the tweet and the continuation of the discussion with your blog post. Great article, great points! I just not agree with the “titles per platform” feature. I’ll thinking in to implement many of this things/ideas. Would love to see more of your thoughts on the inbound marketing/content strategy touchpoint in the future. Keep up the great work! Hi John. Great post. I read it on my iPhone just 24 hours from making a presentation on cross platform publishing to a diversified media house in India! I read your post on iPhone’s Reader feature built into Safari. It was as smooth as reading New Yorker on paper. teaser/quizzical type of headlines that print publications had adapted. I read more print stories with misleading/irritating headlines than I do online. I think forcing a change in headline philosophy could be one of the biggest unstated positive influences of online journalism to print. Hi John, found your articles in google. I like it, especially the idea about content – when content exist independently from software, aka cross-platform content. More over, I’m CEO of a company where we building this product – AtContent. You also can find our plugin for WP. I would like to strike up a conversation with you about these ideas and other things about content.